CREDITS: HBO Comic Relief, Winner Ed McMahon's "Next Big Star"
Don Tersigni (the g is silent) burst onto the Detroit Comedy scene in 1990. Using his talent as an impressionist, he realized success early in his career by winning a comedy contest sponsored by Continental Airlines, which was covered by CNN. Not long after, fortune smiled on him again in the form of a contest, where he won the opportunity to appear in Budd Friedman's Night at the Improv, where he opened for Louie Anderson. This event was held at the 12,000 seat venue, Pine Knob Music Theater near Detroit. In October of 2000, Don took a huge step closer to his dream by winning the comedy category of Ed McMahon's Next Big Star. 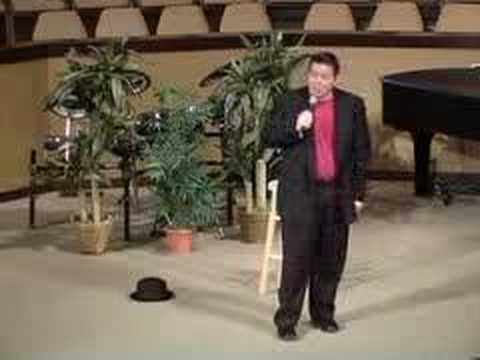 Don has performed at many comedy clubs, colleges, churches and corporate functions from Boston to Nashville to Las Vegas, for Amway (Quixtar), U. S. Steel, Shaklee among others and at Men's Conferences for The Moody Bible Institute in Chicago. As The Voice Chameleon, he blends his 150 voice repertoire with observational humor, always keeping it clean to create a hilarious, entertaining impact. Whether he resurrects Elvis, The Rat Pack and John Wayne or calls on such contemporary stars such as Arnold Schwarzenegger, Sylvester Stallone or Clint Eastwood, he's sure to please any audience with his universal appeal and dynamic style. Don has had the privilege to work along side such names as: Jimmie "JJ" Walker, Tommy Chong, Bret Butler, Pat Paulsen, Judy Tenuta, Gilbert Gottfried and Jon Stewart. Opened concerts for "Weird Al" Yankovic and Ted Nugent. 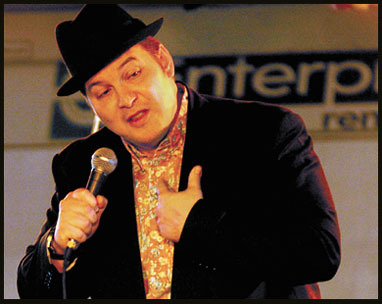 He has performed at the following clubs: Mark Ridley's Comedy Castle, Chaplins, Main St. Comedy Showcase, Joey's (all in Metro Detroit area), Toledo Comedy Club, Wisecrackers (Merrillville, IN), ComedySportz Chicago and Headliners (Alexandria, VA). TV Appearances: HBO's Comic Relief V, ABC's America's Funniest People, CBS 48 Hours, FOX's Show me the Funny. Ed McMahon's Next Big Star national broadcast. The Michael Essany Show, appeared with Jewel, Joey McIntyre and Tom Green. Radio Voice Overs: WCSX 94.7 FM in Detroit, WLJE 105.5 FM, WZVN 107 FM, WXRD 103.9 FM in Chicagoland, and most recently on the nationally recognized WLUP 97.9 FM in Chicago.